Hi Daniela, It is 2am here in Hawaii and I can’t sleep. I knew today you would give us the information on the concerts in Italy. Even though I can’t be there I am still excited that they will be doing a short tour. Ok Daniela, will you be seeing them in Marostica or Codroipo ? I think I am right in saying that both those places are about a 2 hour drive from Brescia? Yes, Jill, I already got tickets for Marostica, second row. Thanks for all the news Daniela and congratulations on getting tickets for Il Volo’s Marostica concert! It looks like another beautiful place to see them in Italy. I would love to be there with you but know you will share your experience with us. I imagine at this time, they probably are looking forward to performing a few concerts and especially in their beloved country. You know Margaret, not even I have ever seen Marostica and the square, from what I see is beautiful. Of course I would have preferred Taormina, but I’ll settle! I will do a long report, I also hope that you can participate in the soundcheck. Good news that they are doing a few concerts. Unfortunately i will be in Sicily but leaving before the concerts. Bad timing but I have previous commitments. 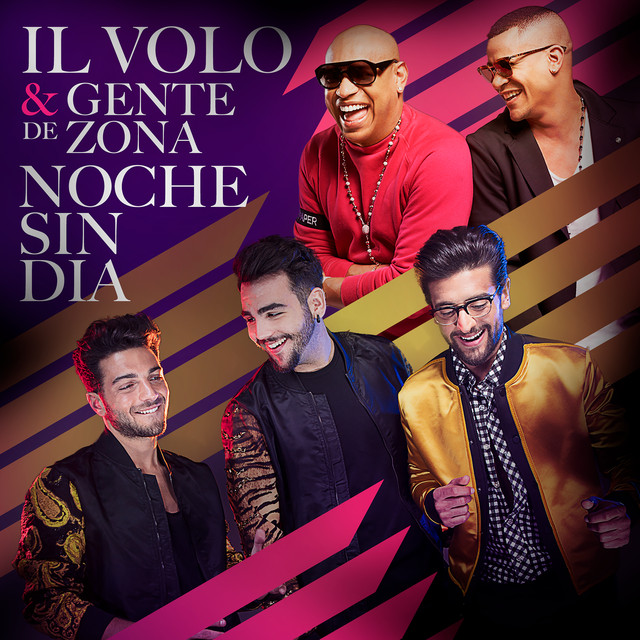 Also, according to the official fan club notification the single titled Noche Sin Dia will be released on May 25th. Daniela, any thoughts on that? RoseMarie, the news is true and looks just below that there is the advance of the single. LISTEN TO EVERYONE, a small piece of the new single LA NOCHE SIN DIA has been released. What do you think of this rhythm? I also really like Jill. You managed to sleep?? Yes Jill so do I. I was surprised at first then saw they were having so much fun & the song was so catchy I realluy enjoyed it. So this is somethng new to look forward to. Now I know what Gianluca was saying that they have surprises. 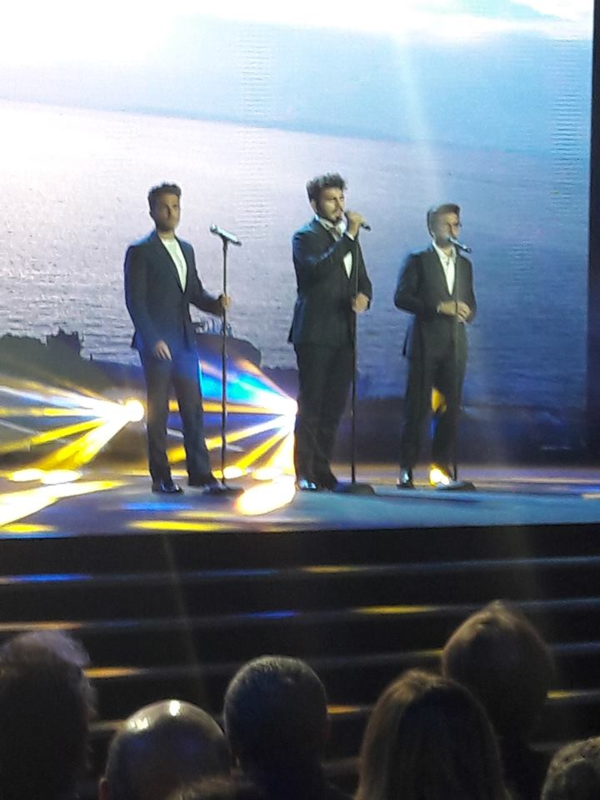 I am going to find a store selling CD’s to get anything new of Il Volo I can find. So happy the boy are starting to sing in various concerts. Missed hearing them. The “Noche sin Dia” sound is like you hear from the Latin artist in Miami. Do not care how they sing I just want them to sing and for me to be able to hear them. Gina, it was a surprise for us too, this series of concert dates. I’m very happy to be able to resent them and I think there will be a mix of music. Daniela I did get the list of concerts. I meant I missed hearing the boys sing. It has been a long break between concerts. Thanks for your postings and information from Italy. You’re right, Gina, we never get enough of these guys. Thank you Daniela for the news and your kind translations. Good wishes for you and all the Flight crew. Thanks to you Sheila, who have read and commented! The people who live in the States are so lucky because that is where Il Volo go. I presume Canada doesn’t have the people to fill their bookings when Il Volo comes here. I am feeling extremely sorry for myself & Italy is too far & costly. At least I am glad I have this computer so I can try to follow where they are going. Guys I know your concerts are going to be successful. Good luck. I’m looking forward to catching a glimps of some of your concerts. Daniela from what I am reading in these pages the concert in the States is fast selling out & i can’t find what theatre they are going to be in. Can you help with this poor soul. Can you get any information as to what the theatres in the States are I don’t know who to call.